Mansfield Energy is the trusted partner to fleets and organizations across North America – solving their most demanding energy procurement, supply and logistics challenges. Founded in 1957, Mansfield Energy is a family-owned organization headquartered in Georgia and operating in every U.S. state and all 10 Canadian provinces. Mansfield provides reliable fuel supply, logistics, DEF, additives and strategic solutions. In addition to owning dedicated assets, Mansfield represents the largest independent fuel distribution network in the country, the DeliveryONE Network, which enables us to deliver products and services exclusively to more customers in extremely efficient ways. Mansfield Energy delivers over 3 billion gallons of fuel and complementary products annually to 5,000+ customers across the United States and Canada. Mansfield’s narrative began in 1957 when John and Winnie Mansfield started a new business by purchasing a Cities Service Oil Company franchise in Gainesville, Georgia. Their modest acquisition included a customer list, a few pieces of used equipment and a small inventory of consigned heating oil. From this humble start, generations of Mansfield employees have worked to develop new expertise, improve the quality of operations, and build strong customer relationships. The team’s hard-fought reputation for fulfilling promises and listening to customers has fueled Mansfield’s growth to its current position as a leader in the highly competitive fuel supply and distribution industry. We are proud to be a privately held company with second generation leadership at the helm. Our mission is to Build Relationships that Matter. We value our long lasting relationships with customers, suppliers and vendors and we continually strive to earn and maintain these trusted relationships. We are committed to taking care of the communities where we do business. 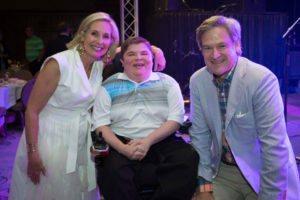 We deliver on this through our many years of partnership with MDA, the Muscular Dystrophy Association, and recently the establishment of Mansfield Cares, Inc. to manage the organization’s charitable activities. 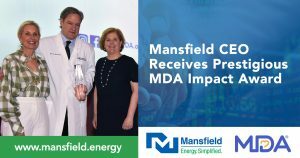 Every year, Mansfield sponsors the annual Mansfield Cares Golf Classic and other charity events and projects to raise money for MDA and other deserving organizations. Mansfield has contributed over $7 million to charities throughout the nation. As part of our commitment to the environment, the Mansfield corporate office is LEED Silver certified by the U.S. Green Building Council. Mansfield is growing, both organically as well as through a strategic acquisition and partnership program. 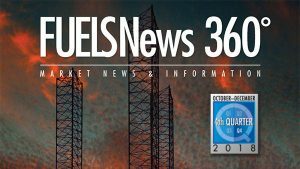 During 2017 and 2018, Mansfield executed key acquisitions including O’Rourke Petroleum based in Houston, TX, the R. W. Earhart Company based in Troy, Ohio, Hi-Grade, Inc.’s oil and lubricant’s business assets, Baton Rouge-based, FuelTrac and more on the horizon. These acquisitions extend Mansfield’s offering and coverage for its customers across North America. September, 25, 2018, Mansfield acquired Troy, Ohio-based The R. W. Earhart Company. February 2, 2018, Mansfield acquired Sidney, Ohio-based Hi-Grade, Inc.’s Oil and Lubricants’ business assets. August 3, 2018, Mansfield acquired FUELTRAC based in Baton Rouge Louisiana. Mansfield also has executed strategic joint ventures. In early 2018, we established a joint venture with Lincoln Energy Solutions of Greenville, SC, to form Team Logistics.The formation of Team Logistics creates a fuel delivery solutions provider offering safe, efficient and reliable service based on a solid foundation of market leadership and expertise. On January 4, 2018, Mansfield Energy and Lincoln Energy Solutions formed Team Logistics Co. LLC by joint venture. In 2013, Mansfield formed a joint venture with Clean Energy Fuels, the nation’s largest builder of CNG and LNG stations. Mansfield Clean Energy Partners (MCEP) was established to build and develop compressed natural gas fueling stations across North America, with a specific focus on bulk fuel hauling terminal areas. MCEP has developed an industry-leading team leveraging shared resources and expertise. Mansfield is continually seeking strategic partners to improve our overall offering to our growing customer base. If you would like to talk with us, we would appreciate the opportunity to explore options. We look forward to hearing from you and potentially crafting a partnership that is flexible and unique to your situation.